Nancy Paulsen Books, 9780399256721, 32pp. 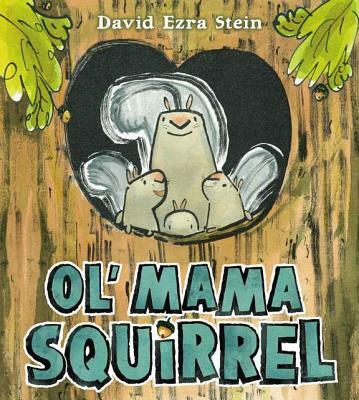 Caldecott Honor winner David Ezra Stein’s lively tale is a fantastic read-aloud, and feisty Mama Squirrel will have fierce mamas everywhere applauding! David Ezra Stein (www.davidezra.com) received a Caldecott Honor for Interrupting Chicken and the Ezra Jack Keats New Writer Award for Leaves, which was also a Publishers Weekly Best Book of the Year, a Kirkus Reviews Editor’s Choice and a School Library Journal Best Book. He also wrote and illustrated Love, Mouserella, Pouch!, The Nice Book andMonster Hug! He lives in Kew Gardens, New York.